Les prints, tres chic from Aliette! Bonjour! Salut! Ok so I will stop now with the schoolgirl French and just say please admire these beautiful prints. Paris-based Aliette is the graphic designer behind these wonderful pictures. 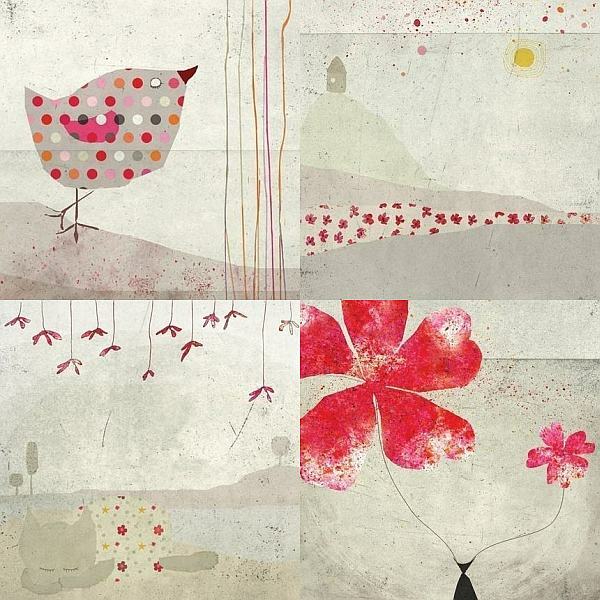 Using uncomplicated illustrations, Aliette creates stunning prints from original paintings. 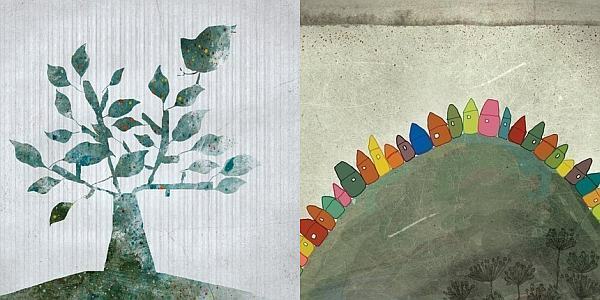 I love the warmth of the colours she uses and the simple way the pictures are presented – I would love these in my daughter’s bedroom. Printed on high-quality Arches paper, Aliette signs each one on the back, so they really are a great special piece of artwork. You can buy single prints on their own or there are different series’ to choose from. I particularly like the sets of four which are a combination on a theme. Check out Aliette’s Etsy shop where prices start at a very reasonable US$24.